New Delhi, Feb 18: With Minerva Punjab FC heading to court instead of the ground for their I-League match in Srinagar in the wake of the Pulwama terrorist attack, the All India Football Federation (AIFF) Monday referred the matter to its League Committee. Defending champions Minerva Punjab FC moved the Delhi Hight Court and filed a writ petition after the AIFF refused to relocate their match and a few hours later, the sport's governing body went through the match commissioner's report along with other relevant documents. "The Match Commissioner's report along with other relevant documents are being referred to the All India Football Federation's League Committee for further action as per the I-League Regulations. They will give the verdict within seven days," the AIFF said in a statement. The match commissioner along with the referees, who have been posted in Srinagar since Friday and the players of the home team were at the venue for the match. The AIFF statement added, "Despite the tragic events which have unfolded in Kashmir over the past few days, football for the people of Jammu and Kashmir has been maintained on schedule, with assistance from the security provided by the authorities, with the qualifying matches of the Santosh Trophy being completed on February 16, approximately 36 kilometres from Jammu in Katra, which was, and is still under curfew." 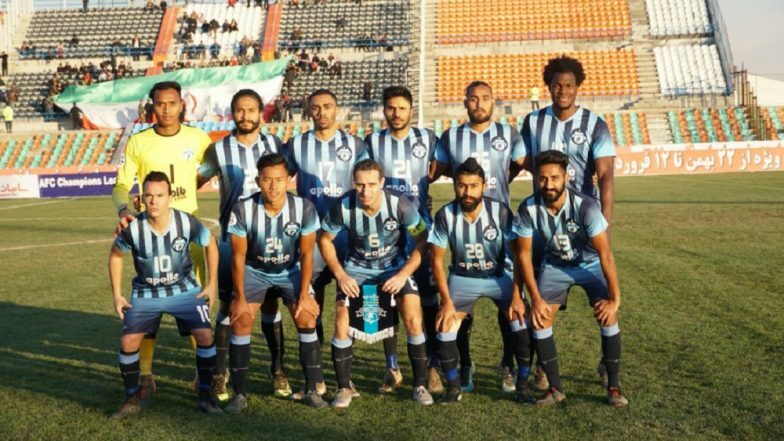 Claiming that they were not given the written security assurances they sought, Minerva Punjab did not travel to the Jammu and Kashmir's capital for the game, even as the host team players turned up at the TRC Turf Ground in their jerseys. Interestingly, the AIFF has not declared the match as forfeiture till now. According to FIFA guidelines, in the event of a forfeiture, full points are awarded to the team turning up for the game. "We have filed a writ petition in the Delhi High Court, seeking relief so that we are not forced to play in Srinagar at this volatile time," Minerva Punjab FC owner Ranjit Bajaj told PTI. "Even today, there was a 12-hour encounter where four Armymen have been martyred. And they are saying 'come and play football here'. Unless the court intervenes, we are not expecting natural justice." The fate of the February 28 match between East Bengal and Real Kashmir, scheduled to be played in Srinagar, has also come under the cloud. On Thursday, 40 CRPF paramilitary troopers were killed while several others injured in what is being termed as the deadliest terrorist strike in three decades in Jammu and Kashmir.